Designed to a tight budget, the Cheesery houses a small goats cheese making factory and associated retail outlet for the public. 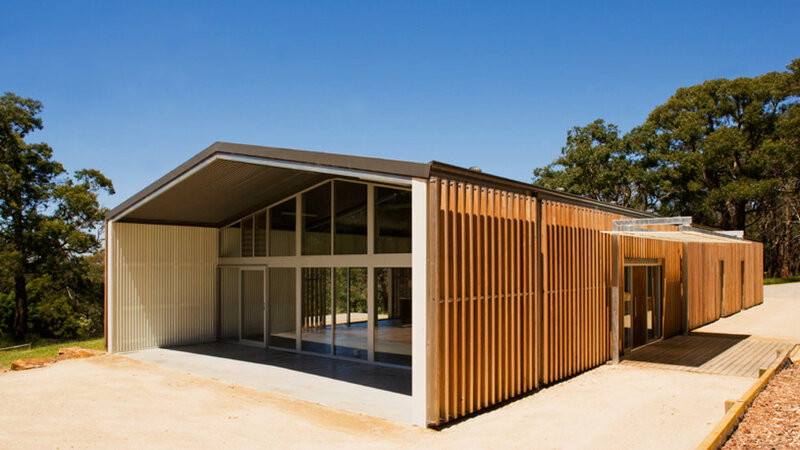 Utilising a standard steel frame farm shed to maximize internal flexibility, the building is cloaked in translucent fibreglass sheet with a protective outer layer of vertical timber fins. Conceived in response to the filtered light and surrounding ridge-top silhouetted tree trunks prominent on the site, the façade both filters light and controls unwanted heat gain. The factory is located to the south whilst retail area and tasting facilities to the north with an aspect overlooking surrounding goat paddocks and farm dam. 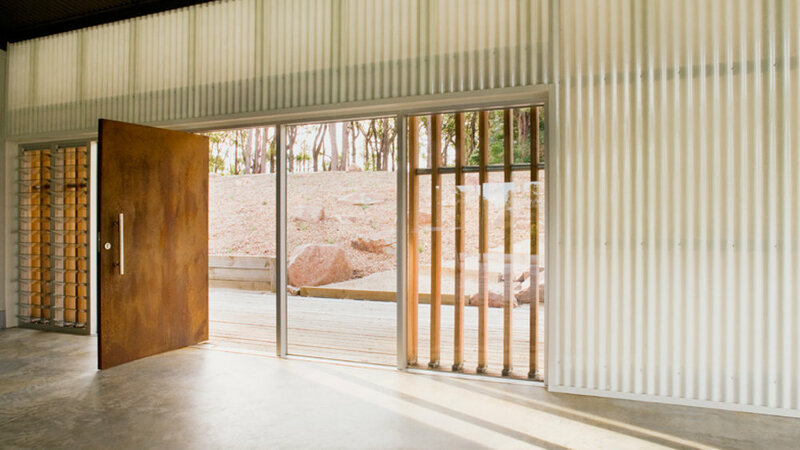 An internal palette of white fibreglass and sealed concrete floors and recycled timber lend the facility an elemental rural quality.